We are situated in a lovely quiet more residential resort with a lovely large swimming pool that you look out onto. The bathroom/shower room has a large walk in shower, large modern glass vanity unit and wc. Large open plan living area with very modern corner sofa suite, large flat screen television with Wifi internet and satellite English television. Leading out to the terrace overlooking the swimming pool. White gloss fitted kitchen fully equipped with hob, oven, dishwasher, washing machine and fridge freezer also includes all crockery. There is a golf course within a 10 mins drive away also Rancho Texas which is a tropical animal attraction with themed evenings. Outside: The property is situated in a very well kept small complex, with nice garden area all around the complex which includes the large shared swimming pool. Cleaning / Towels / Linen / Maid service: All linen including beach towels are provided Other: There is a lovely terrace area for al fresco dining. Great location and facilties. Welcome pack very much appreciated. From booking to accessing apartment everything was very easy. Would definately recommend this apartment, in fact have already done so with a number of friends. Thanku so much for your review, hope to have you back soon. Great apartment,everything was catered for in kitchen,including dishwasher,washing machine,oven,hob and all utensils. What we really appreciated after our flight was that there was milk,juice,water,wine and beer in fridge,what a welcome sight. Nice size bedroom and bathroom. Bonus on the balcony was as well as table and chairs,there were 2 sunloungers as well.Great TV system all sports and movies. Good location,would highly recommend this apartment. Lovely apartment in a fantastic location. Everything you need home from home and really close to the Airport. Would definitely visit again, loved it. Excellent what more can I say! Second visit just as good as the first in fact better as we stayed for two weeks this time. We absolutely love this apartment, it has everything you could possibly want and in such an ideal place. Love the new balcony furniture Kerry. Well just spent a month in Kerry's apartment. It was just as great as last year. She has added a few new tweaks which was greatly appreciated. Love your new outdoor furniture. This apartment is located near everything that you could possibly need, beach shops restaurants all you would need for a perfect holiday. I would recommend this apartment to all. Its a small complex with a pool which was never too busy you could always manage to get a sunbed So thanks Kerry till next year counting the days already. Thank you so much, glad you enjoyed your stay again looking forward to having you back next year. Glad you enjoyed the new furniture. 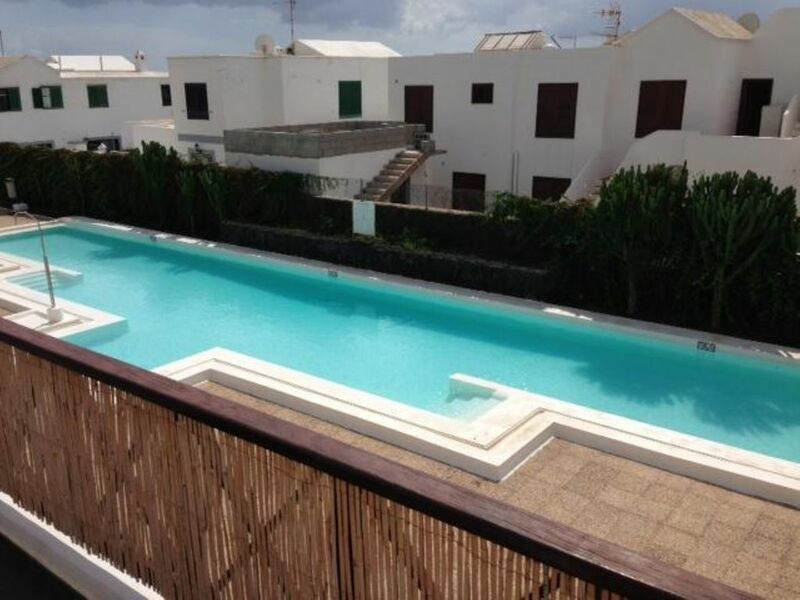 The property is situated in the town of puerto del carmen being only a 5 minute walk to all amenities beach,shops,bars and restaurants, everything you could wish for within a 5 minute walk. Booking Notes: The booking would require a £75.00 deposit and the remainder 6 weeks prior to departure. All maps and key codes would be sent once full payment received. If you are paying by card you will be contacted when payment is due Changeover Day: We do not have a set changeover day, we are quite flexible. Check in time is after 2.00pm and departure time is 10.00am.